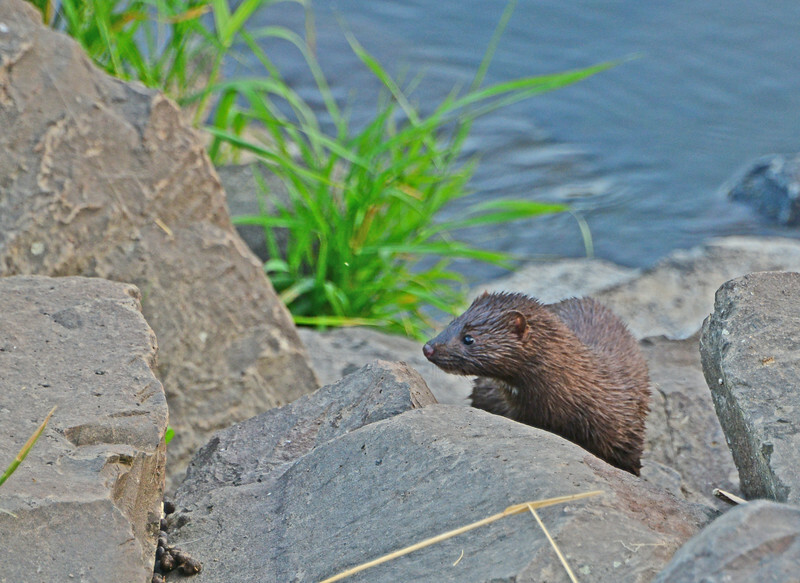 Several mink appeared to be active as the sun set, but they confused being counted by their quickness and ability to stay underwater as they crossed from bank to bank. One eventually appeared on the rocks about 10 feet from where I stood. It seemed to be looking toward Nora who didn't see it.